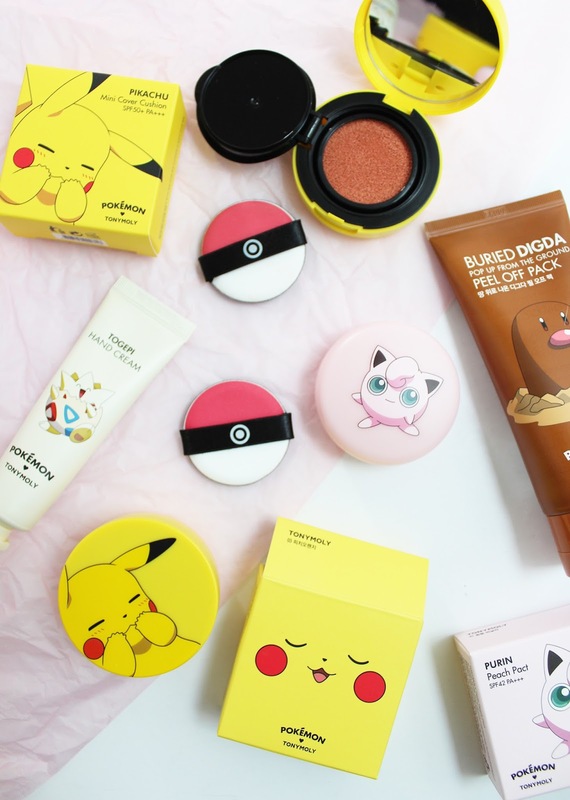 The collection is unbelievably cute and well themed with the classic Pokemon characters on each product. It was a really big collection too with all sorts of skincare and makeup. As you would expect with Korean Beauty - the products are fun, but also innovative and they actually work well! I bought these products from RoseRoseShop, which is a large online store that stocks heaps of K-beauty brands and they ship internationally. Unfortunately, not a lot of these are still available on there, but they do have a few of the products on iHerb, and you can use my code RMM029 to get a discount on your order. The Buried Digda Pop Up From The Group Peel Off Pack (USD $6.80) is one of those face masks that really helps to deeply clean the skin and remove blackheads and gunk from the skin. This looks a bit like poop, but once applied it starts to really dry and once dry it peels off quite easily and leaves your skin feeling super soft. The Togepi Hand Cream (USD $4.10) features one of my favourite Pokemon and is a lovely hand cream, it's nothing groundbreaking but a great size for the handbag. This one came in eight different types with various Pokemon on them such as Snorlax, Charizard and Eevee. 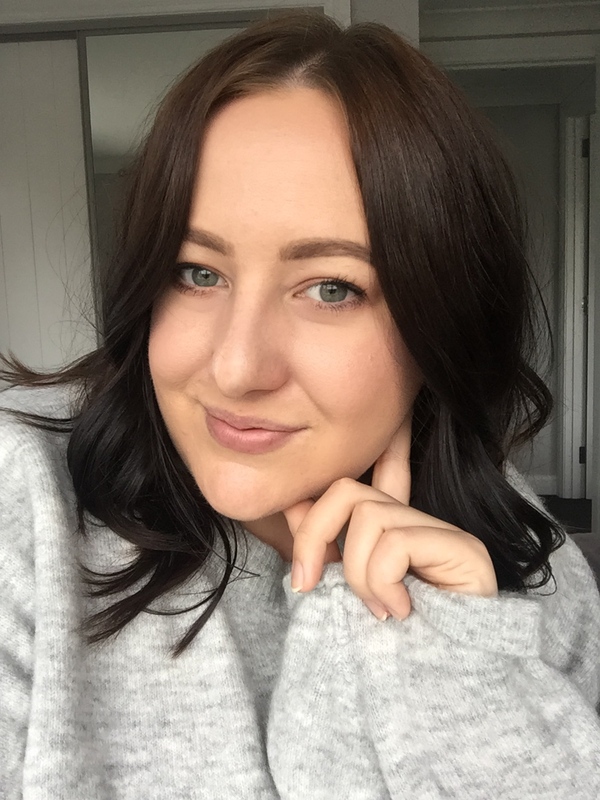 K-beauty is known for their cushion products so it was no surprise that with this collection there was a foundation and a couple of shades of cream blush. 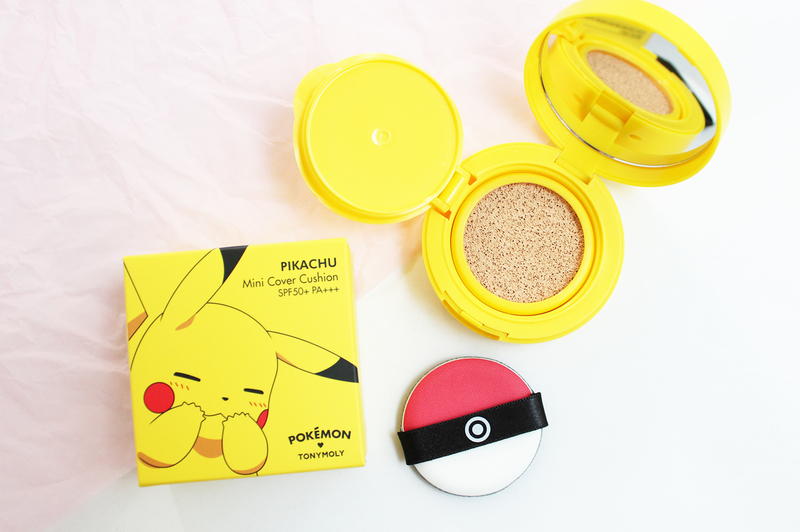 The Pikachu Mini Cushion Cover SPF 50+ (USD $8.89) is insanely cute and I love the detail of the sponge having a Pokeball on it. The foundation itself is really nice to use and provides a lightweight light to medium coverage. 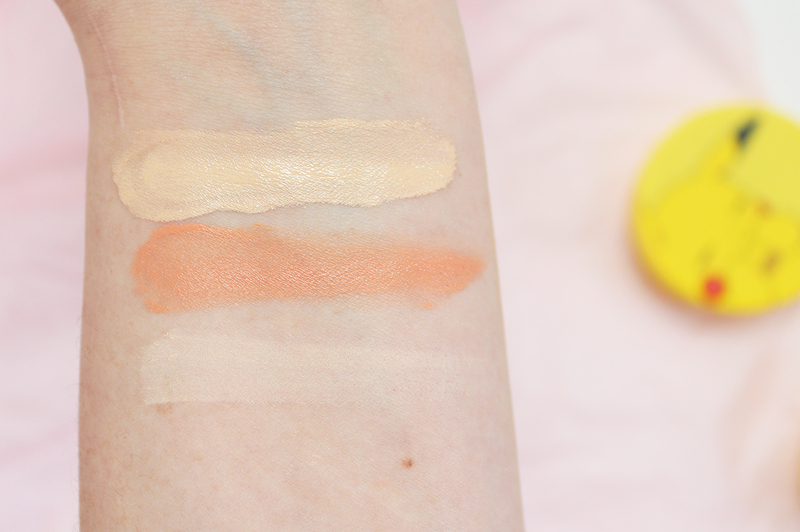 I have the shade No.1 Skin Beige (out of the two extremely limiting shades available) and it has a good yellow undertone which works well for my skin tone. 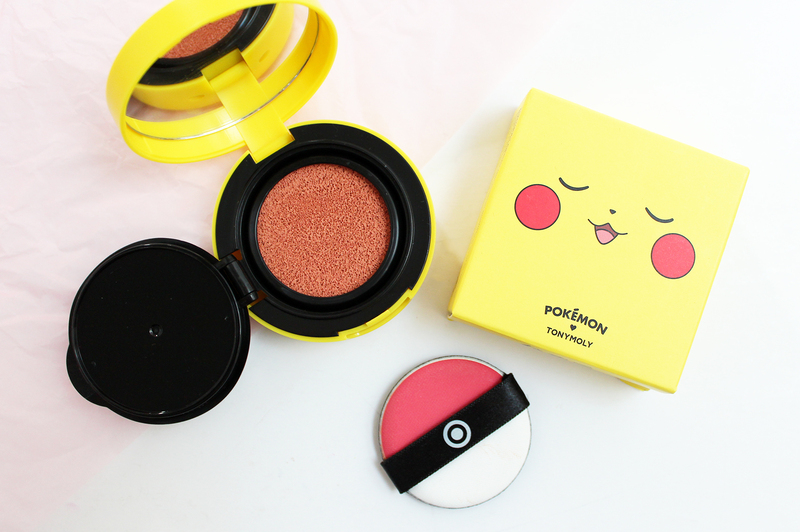 I actually got the Pikachu Mini Cushion Blusher in 03 Peach Orange from an Instagram buddy who kindly parted ways with it so I could try it out. It is the same size compact as the foundation but contains a cream blush inside. I really enjoy cream blushes like this as they blend onto the skin a lot more naturally than powder blushes do. Once blended, you get a more sheer wash of colour, but it can be built up. 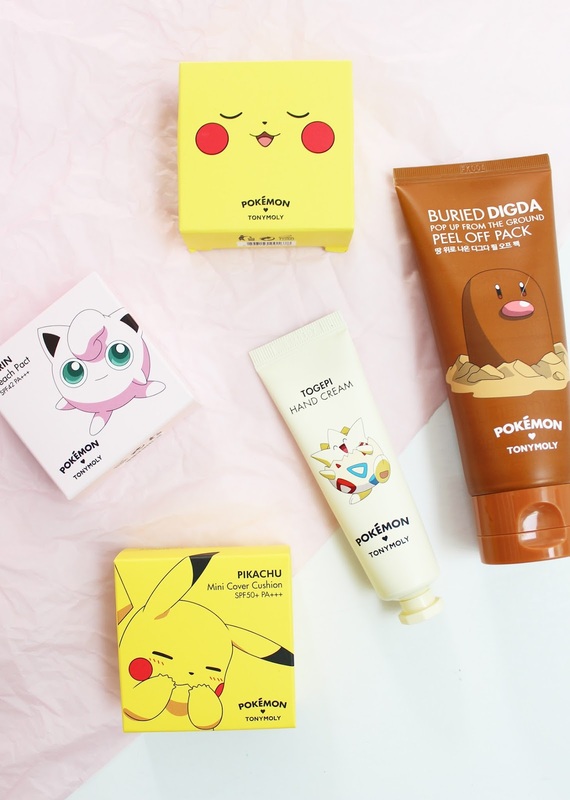 The final product I have from the Tonymoly x Pokemon collab is this very sweet Purin Peach Pact SPF 42 in 01 Cotton Vanilla (USD $5.90). 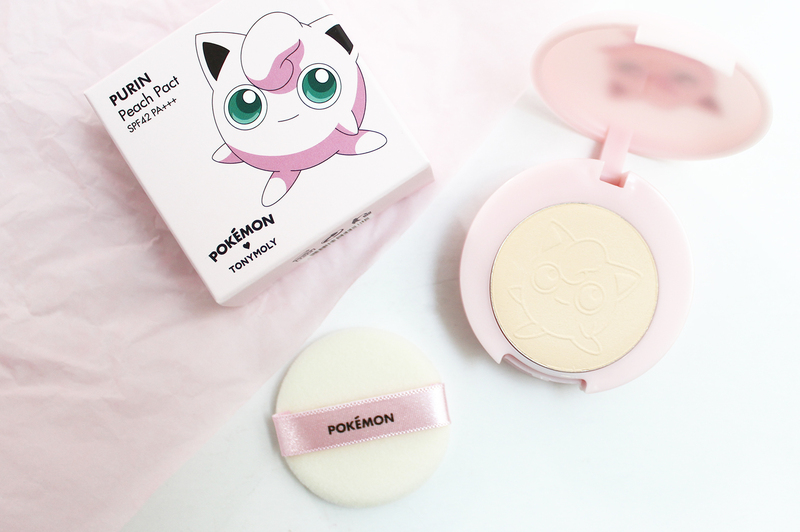 Purin is the Korean name for Jigglypuff and I love the pale pink packaging with the imprint of Jigglypuff on the powder. Although the compact is small, it lifts up to contain a mirror and a puff so it is very on-the-go friendly. This powder comes in two limiting shades but unfortunately is what you get with Korean beauty products. I find you get a bit of coverage with this powder and it mattifies well. 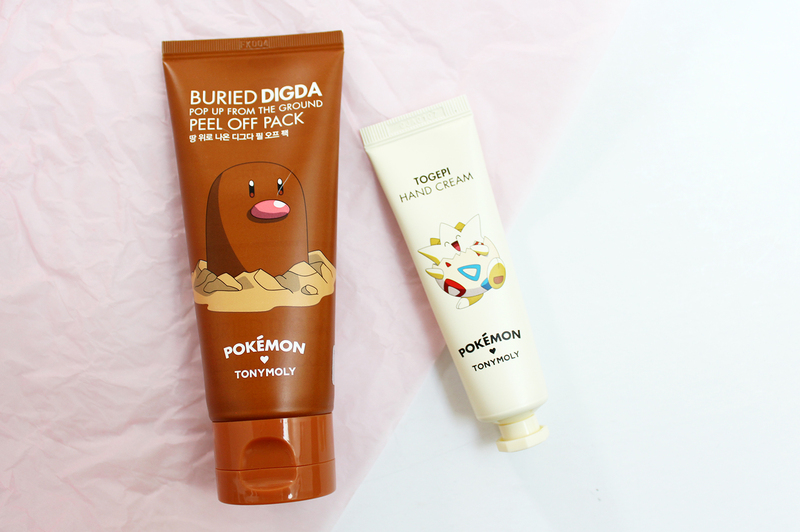 So that is my little collection of products from the Tonymoly x Pokemon collab. While most of the products seem to be unavailable, get on to iHerb to nab a few from the range before they are gone forever. Are you a Pokemon fan from way back too? What do you think of this collection?